The Department of Finance is responsible for the accounts payable, general and revenue accounting, centralized purchasing, employee payroll, debt management, fund balance investment, financial control of grants, property tax judgment processing, public utility electricity billing and employee benefit functions of the Westchester County government. Various other responsibilities are discussed on the linked sections. All policies pertaining to the financial practices of county departments are developed by the Finance Department. In Westchester County, the Commissioner of Finance is also the County Treasurer. Westchester County is AAA rated by two bond rating agencies - Standard and Poor’s and Fitch. Moody’s rating is Aa1, which is the second highest rating possible. The department prides itself on its efficient business practices, employing the most up-to-date financial accounting systems. The Bureau of Purchase and Supplies uses a fully integrated purchasing system that allows all county departments to create authorized on-line pre-encumbered requisitions. Per county law, bidding for the best competitive pricing is required for outside purchases. After evaluating the bid pricing from vendors, BPS creates encumbered purchase orders for requisitions. Encumbering insures the availability of funds for payment upon delivery. To expedite the ordering of routine items, BPS also establishes master purchasing agreements for many popular items. All county departments use the master agreements to create on-line vendor-ready purchase orders, expediting the delivery of supplies and lowering the processing cost. Over ten thousand purchase orders are processed each year. Every contract and purchase order is encumbered in our electronic financial system when initiated to insure that all obligations are readily apparent at all times. Contracts must be encumbered by the initiating department after obtaining county approval. All approved requisitions converted to purchase orders are encumbered in our financial system by the Bureau of Purchase. Online payment for deliveries of orders and for payments to contractors and consultants is initiated by the ordering department and approved by the accounts payable staff after the auditing of required documentation. Major capital construction and purchase contracts involve holding back a percentage amount as retainage from every payment pending a final checklist review of compliance with the specifications. The efficiencies produced by the on-line system and our experienced and capable accounts payable staff allow taxpayers to realize every payment discount available. Utilizing our online system, many day-to-day financial transactions for revenue and general accounting are initiated by the accounting staff in departments prior to review and approval by the General Accounting unit. Items such as bank deposits of fees, entries for revenue received for services, financial entries to properly distribute expenses and revenue, inter-department billings for services and all end-of-month financial entries are reviewed and approved by General Accounting. Transactions for state or federal grant reimbursement requests for the incoming EFT transfer of funds are also approved after being initiated by the grantee departments. The general accounting staff also provides other important services. The Finance and Human Resources departments administer an FLSA compliant employee payroll and position control system for all county employees. 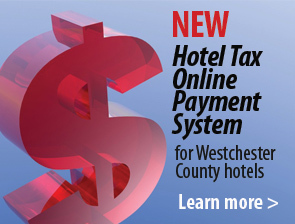 All county departments have online access and use the system for payroll maintenance. Westchester County has over five thousand full-time employees plus seasonal workers. Westchester County wants to help employees and retirees live a healthier lifestyle. The Employee Health and Wellness page provides resources on health related topics including an online wellness center, monthly newsletter and links to health insurance Web sites, Medicare and the New York State and Local Retirement System. The office of Financial Compliance reviews county departments and entities that receive funding from Westchester County. Reviews focus on contract compliance, internal controls, and county policy and procedure compliance. The Financial Compliance team examines financial records and accounts for accuracy and verifies that the business of the county is being transacted in compliance with county, state law and Federal law. The process includes performing research and information gathering, fieldwork, the development of observations and a final report. The report includes detailed observations including recommendations to the department or agency for improvements. The county department or agency may respond to the observations prior to the release of the final report.